As most of you know Flic is on her way once again to the Big Apple for her New York Fasion Week Show. Yay! What some of you may not know is that most of Flic's grant funding fell through this year, only hours before she flew out. Boo! She has managed to pull together the funds from a few last minute sources, but it all needs to be dealt with on her return. As we all know she is the most amazing artist and has gone so far, but unfortunately without the backing of Arts funding, this kind of thing is only a pipe dream. Obviously Flic is devastated to have to ask her friends to help, so we have banded together for her to help her fulfill her New York dream this year. If you can help Flic in any way to cover the costs of the New York trip - which include the cost of the hats getting to NY, models, parade set up and associated costs - we would love your support, and so would Flic. It is an amazing dream she is living and we all enjoy being a part of it in some way. 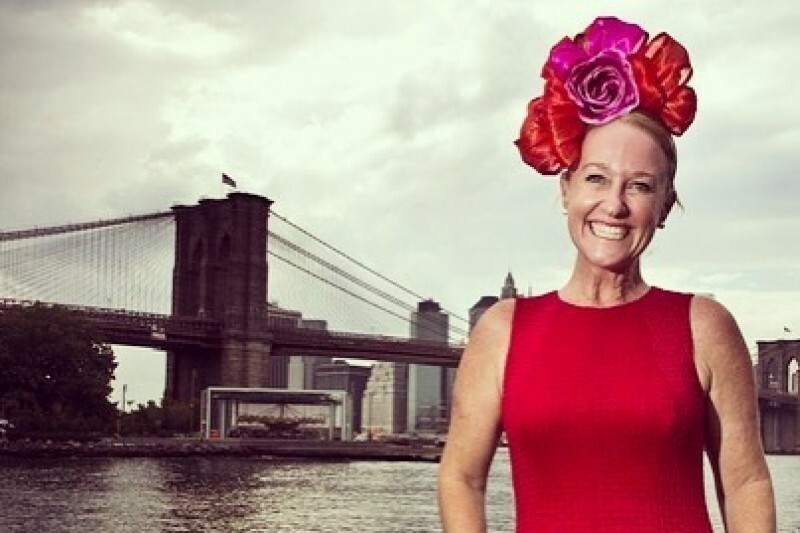 Please help Flic conquer New York one more time, I'm sure one day soon we'll all be saying... yes I know Felicity Brown of Hats By Felicity.. I was part of her journey, I collected her feathers, I met her on a station, I was one of her models, I'm one of her friends.. now look at her! ! We love you Flic... Go get em!! By encouraging an Indigenous community to shoot Bush Turkeys (Australian Bustards) by paying them for their feathers, Felicity Brown is contributing to the extinction of a bird which is “mostly extinct” in settled areas, according to Field Guide to Birds of Australia. Casual wanderers still apparently occur, but these will no doubt be shot for the income from their feathers. Good luck for the big show! !